The homeowner has not responded to the civil case, so Wilton officials filed to win the case by default. WILTON — A downtown homeowner owes $9,500 in civil fines, or two-thirds of his annual income, and town officials argue he defaulted on the money when he didn’t respond to a court case for not clearing piles of lumber, appliances and car parts off his front lawn. 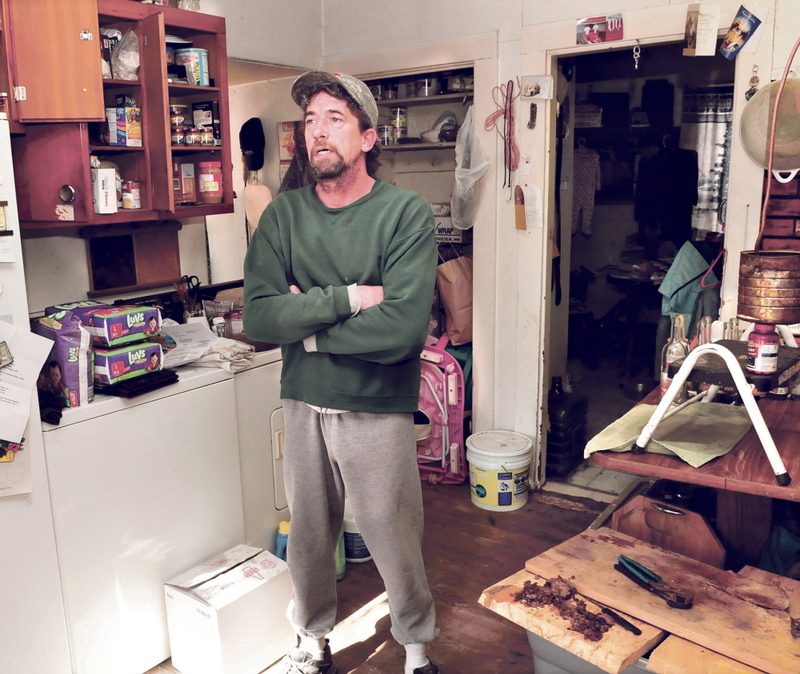 Homeowner Duane Pollis is accused of violating Wilton’s property maintenance ordinance — essentially by having a junkyard — which allows a minimum fine of $100 per day for violations. Pollis said there is a purpose for everything in his yard, so he shouldn’t be obligated to clean it up. He said he feels bullied by the town because he makes a little less than $14,000 annually and can’t pay the fine, hire a lawyer, drive to court without a car or call Pine Tree Legal Assistance for free help when his prepaid cell phone has limited minutes. The town’s complaint filed in court also states that by having more than three unregistered vehicles on his property, he is in violation of the state junkyard ordinance. The town of 4,100 is asking for a permanent injunction requiring Pollis to clean up the property and keep it clean. If Pollis does not clean the property after the judgment, the town also is requesting permission to enter Pollis’ property, clean the site and bill him for the cost. Finally, the town also is seeking to have Pollis pay for the attorney fees. The selectmen unanimously voted to seek the $100-per-day fine starting Oct. 3. Pollis had until Nov. 26 to answer the town’s complaint against him, according to court documents. Pollis said his girlfriend signed the complaint for him when the civil deputy couldn’t get in touch with him, and he didn’t think that signature counted or allowed the procedure to move forward. Town Manager Rhonda Irish referred questions about the matter to the town attorney. Pollis was the first resident whom the town subjected to enforcement action under the ordinance, and the only one against whom it has filed a civil action. Irish said previously that other homeowners contacted the town after they were told they were in violation, and in each case the two parties worked an agreement out without involving the courts. Voters at the Town Meeting in June passed the ordinance 79-69 after lengthy debate on whether it would be used to target poor people or was necessary to protect property values. Under the ordinance, the town has the authority to require homeowners who live downtown or in a designated area just outside downtown to keep their property in “good repair.” Examples of good repair included a yard free of trash and “offensive material,” no missing shingles or crumbling brick exteriors, and removal of all debris considered a health and safety hazard. Pollis said all the material in his yard that the town is fighting to remove has a purpose. The snow now covers much of the scattered debris and construction material, but Pollis remembers what he has in each pile in the yard. Each item is important to him, he said, and on warmer days Pollis can walk around his yard and pick them up one by one, listing some intended use for the parts in the distant future.